Once again, I had caused Tuesday to fly by. But never mind, Thursday starts with a T too. This time I am going feature yellow and orangey fruits and vegetables. 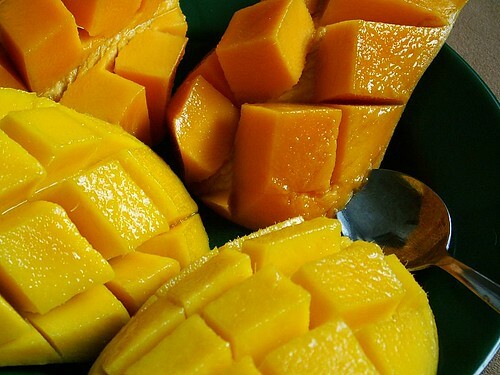 The above is the varieties of mangoes from Thailand. My dear hubby loves to style them like those served by the five-star hotel. All you need is to scoop out the flesh with a spoon. Nice, eh? Mangoes and pineapples are two of the most popular tropical fruits and often featured as icons of tropical stuffs. 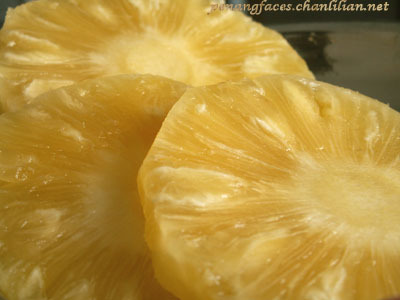 The above is the most delicious, sweetest and juiciest pineapple. If I am not mistaken the pineapple is from Thailand too. Sometimes, I wonder why Thailand’s agriculture seem to be much more advance than us and their fruits seem to be tastier? 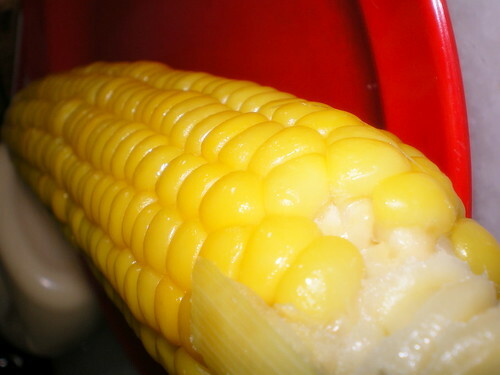 Yellow corn. Love to steam them or eaten raw. 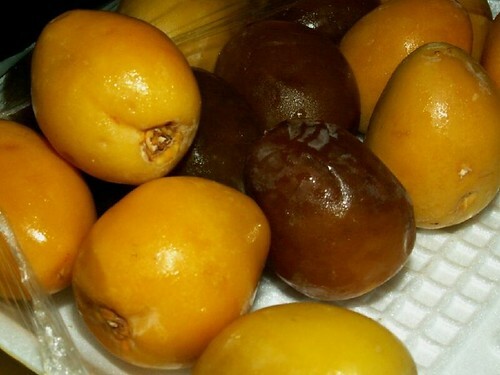 Fresh yellow dates from Saudi Arabia, found only during the month of Ramadhan. I wish they import fresh dates all year long because they are so tasty. 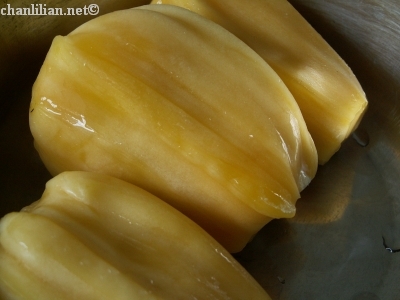 Yellow jackfruit or nangka. Stinky and nice. That’s some of the yellow coloured photos I found on my Flickr set for Fruits and Vegetables. The pineapples and mangoes are my favourite. Could it be Thailand has more efficient organization than MARDI and FAMA? 🙂 They definitely have better bio tech in argriculture. Can corn eat raw?? I didn’t know that… I thought we ought to steam it. But I know can cook for soup. When you wrote about eating raw corn, it reminded me of the parrots I had when I was a kid. It’s amazing how they manage to peel the membrane from the corn with just their beaks before eating them. So cute! Thailand agriculture industry receives both government and Thai Royal family support years even before Malaysia merdeka. Thailand’s Kasesart University is one of the best agriculture university in Asia, that explains the affordable and lucious fruits – advance bio technology. BTW the mango makes me lau nua le…..